Windows & Caprets - Done in One Day! Welcome to Denver Carpet Cleaning! We have been in the carpet cleaning and window cleaning business for close to 25 years. We created this site to answer common questions and concerns about carpet cleaning in general and provide advice on hiring a Denver carpet cleaning company. We hope you find it useful! 1. What is the best way to care for my carpet? Vacuum often! You can never do it enough! Also, keep shoes off the carpet and rugs and get your carpets steam cleaned at least once a year. 2. What is the best way to clean carpet? Truck-mounted, steam carpet cleaning leads to deeper extraction of dirt. It is hands down the best method for cleaning – and therefore prolonging – the life of your carpet. 3. 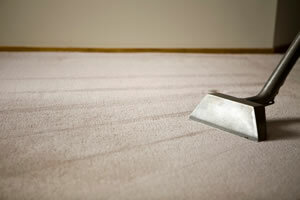 What needs to be considered when hiring a carpet cleaning company in Denver? You are going to have this person in your home of office, so make sure they are licensed and insured! 4. 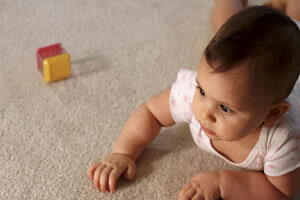 How can a homeowner know they are choosing a reputable Denver carpet cleaner? Do your research! See how long they've been around. Check BBB, Angies List and Yelp for reviews. 5. How long can I expect the carpets to take to dry after they are cleaned? It depends on the time of year. In Colorado, 4 – 6 hours in the summer is generally enough. In the winter, you should allow for 6 – 8 hours. 6. If I pay to have my carpets cleaned professionally, is it safe to use a grocery store product to treat spots? No! The PH levels are way too high in those solutions. You need something much more neutral. Ask the carpet cleaning company for a bottle of solution after they finish in your home. 7. Does Scotchguard/Teflon Coating really work to protect the carpets? Yes! It keeps a barrier on top so that spills and dirt don't get grounded into the fibers. 8. My family suffers from allergies. Can carpet cleaning help? Yes! Cleaning your carpets will help alleviate allergy suffering by removing dust mites, pet dander and pollen. 9. What should I do about a pet stain in the carpet? You should quickly apply a pro spotter, something that's a good neutralizer that won't set the stain in. Blot the stain, but don't scrub. If you absolutely have to, use mild dish soap and water. You do not want to use many of the non-professional carpet cleaners available. They are too strong and will dye or bleach the carpet.